Calcium Propionate for bakery products in a bulk 50 pound bag. Honeyville's Granulated Calcium Propionate can be used in bakery products as a mold inhibitor. Propionates prevent microbes from producing the energy they need, thus making bakery products last longer. 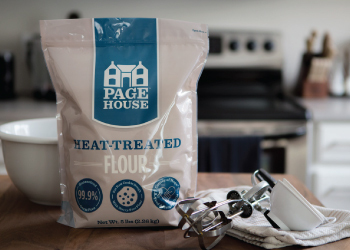 With this, you can make your fresh baked goods last a week without worrying about mold forming. 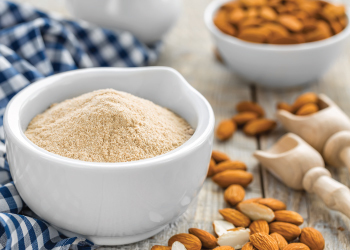 Honeyville Granulated Calcium Propionate is an ideal product for your baking needs. Shelf-Life: Granulated Calcium Propionate will store for 1 year in a sealed 50 pound bag under ideal storage conditions (cool, dry place). Uses: Granulated Calcium Propionate can be used as a preservative for breads, baked goods, meats, dairy products and more. Packaging: Granulated Calcium Propionate in bulk is available in a 50 pound bag.